Your employees are your secret weapon and your competitive advantage. Imagine how your business would thrive if you could multiply your workforce’s impact without adding to the payroll! Through 5 talent strategies, your organization can do just this by increasing the productivity of each employee.? 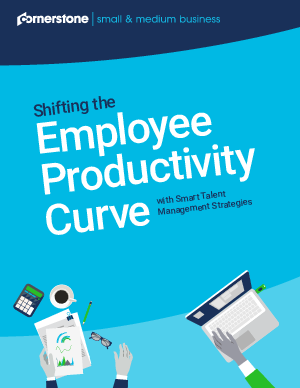 In our?new whitepaper,?“Shifting the Employee Productivity Curve with Smart Talent Management Strategies,” you'll learn:? 5 practical measures you can take to enhance employee productivity. ?